Warm notice, white coated mugs can not change color. when you pour hot water, coffee and any hot drinks into it. 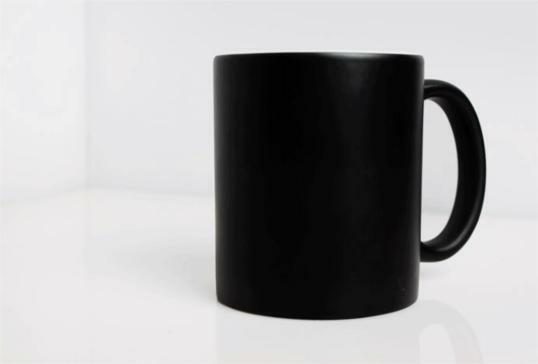 A white mug with a customized LOGO on it clearly. Happy Rainbow now possesses almost 20 years experience of ceramic products since 1995, with a wide range of ceramic production lines, our products are widely welcomed in Australia, Europe, North America and East Asia. Ceramic dinner sets and mugs are our main and best selling products, we customize products according to customers requests as well as original design, including special shape of products, creative decal design, unique design of package etc., and all of our staff will surely spare no effort to cooperate with you to find the right products for your market efficiently. 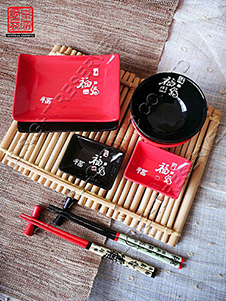 Our goal is to make it simple for our customers by providing a whole host of unique and innovative ceramic items from the very first till end. In addition our knowledgeable and helpful ceramic professionals work right along with you and will provide an all encompassing group of services that are guaranteed to satisfy you and your clients. We appreciate your sustaining support and trust, which help us go ahead and go farther. We appreciate any opportunity our customers give us to serve you and provide our excellent quality with you. If anything we can do for you, please don t hesitate to email or call us. Our staff is just a call away. We are greatly looking forward to cooperating with you.